On Tuesday, two of my housemates and I went to a Cocktail Masterclass held at Revolucion de Cuba Norwich (review coming soon!). Because we somehow managed to arrive half an hour early, we took that time to our advantage and shot some photos near the Norwich Cathedral. We didn't want to be overly dressy, but since it was a bar we felt heels were appropriate. The t-shirt made me giggle and felt very relevant ;). 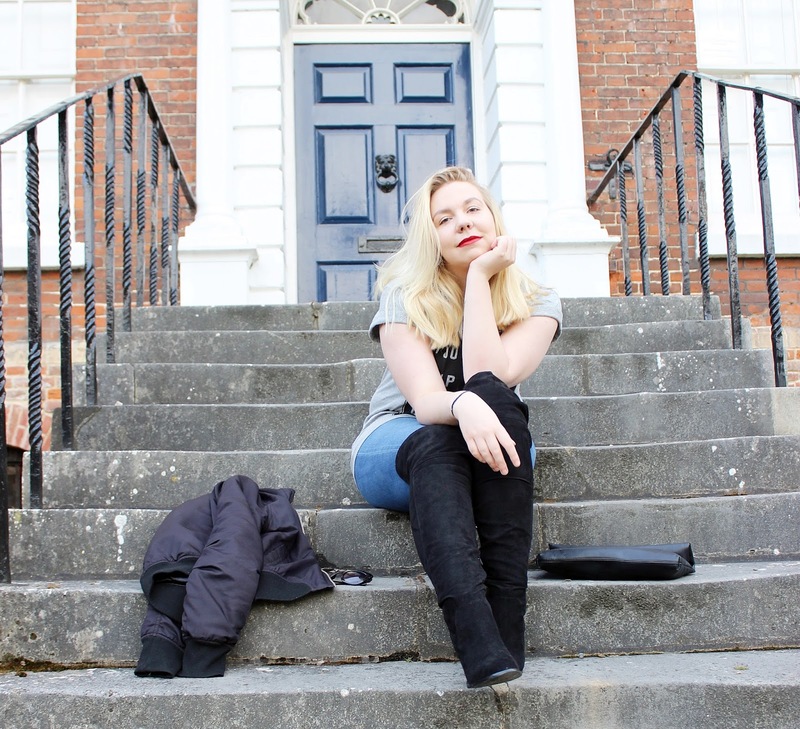 I really really love these over the knee boots, and I cannot believe that they're from Primark! I was on a hunt for a heeled pair that would fit all around my leg but was reasonably priced, but after searching almost everywhere I gave up. And then these beauties magically appeared, and all was well. I also really like the split at the back, I think it adds that little extra something. The bomber jacket is one of my most worn items, because apart from going with literally everything in my wardrobe, it's warm enough and just so comfy. What are your favourite items in your wardobe? Share them in the comments below.